Chandigarh, May 13, 2016: Sh. Mohinder Singh, Sanyojak Sant Nirankari Satsang Bhawan Sector 30-A, Chandigarh said that as per message received from Sh. 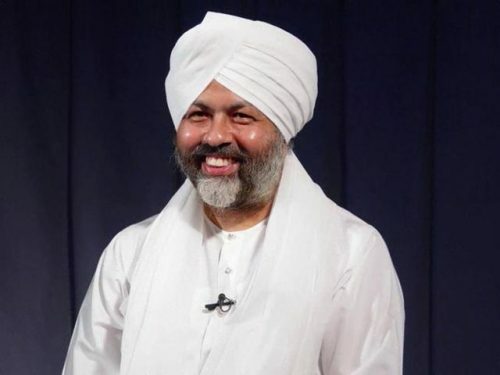 Kirpa Sagar, Member Incharge,Press and Publicity Department, Sant Nirankari Mandal, this is to inform with profound pain and sorrow that His Holiness Nirankari Baba Hardev Singh Ji Maharaj has merged into this Almighty God. He was travelling from New York to Montreal (Canada) in a car which met with a serious accident at about 5.00 a.m. (IST) today about 40 kms from Montreal. Baba Ji was accompanied by Sandeep Khinda Ji and Avneet Setya Ji, both his sons-in-law, and Vivek Sharma Ji from New York. Even though they also received injuries, they are reported to be safe. Further details will be conveyed as soon as finalized. In the meantime, the Sant Nirankari Mandal has urged all the devotees not to rush to Delhi or to the Headquarters of the Mission/Kothi.